mind-derailing time changes, laser-beam synthesizer blasts, hallucinatory overdriven echoplex, and a generally brutal assemblage of disparate elements from a sonic palette that ranges from mid-70's punk rock to psychedelia, prog, free jazz, and Sci-Fi movie sound effects. 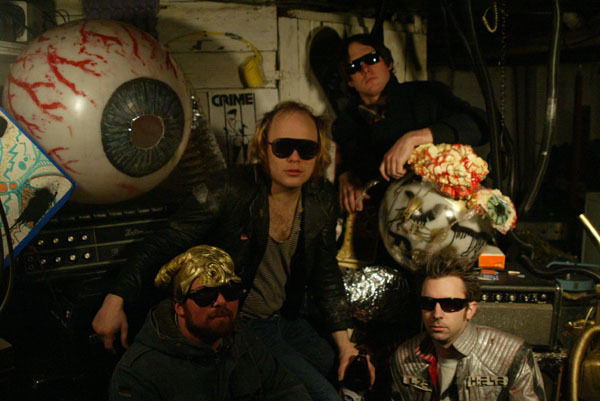 Writhing giant robot snakes, huge illuminated plastic eyeballs, flying T.V. sets, and exploding flourescent paint-filled balloons only heighten the atmosphere of transformed reality and universal anxiety suggested by Human Eye's music. The musical structures whirl and explode in an entangled storm of opposites fusing together and colliding with strange precision. On first listen, you might think you're hearing traces of Beefheart, Germs, Chrome, Soupy Sales, the Residents, Hendrix, Gentle Giant, and the Boredoms. By the second or third listen, you'll (hopefully) be too disoriented to think, analyze, etc. Singer/guitarist Timmy V. was previously in the Clone Defects, where he would often do unexpected things in the middle of a song, like attack himself with a vacuum cleaner until he was standing surrounded by shredded metal and plastic, in a swirling cloud of lint. Human Eye hasn't toned down any of these tendencies, they've just reorganized the placement and frequency of these gestures. Their new album is their strangest and best yet. They've been constructing this thing in darkness, shrouded in secrecy. It is now ready to hatch and implant itself into minds starved for action everywhere. 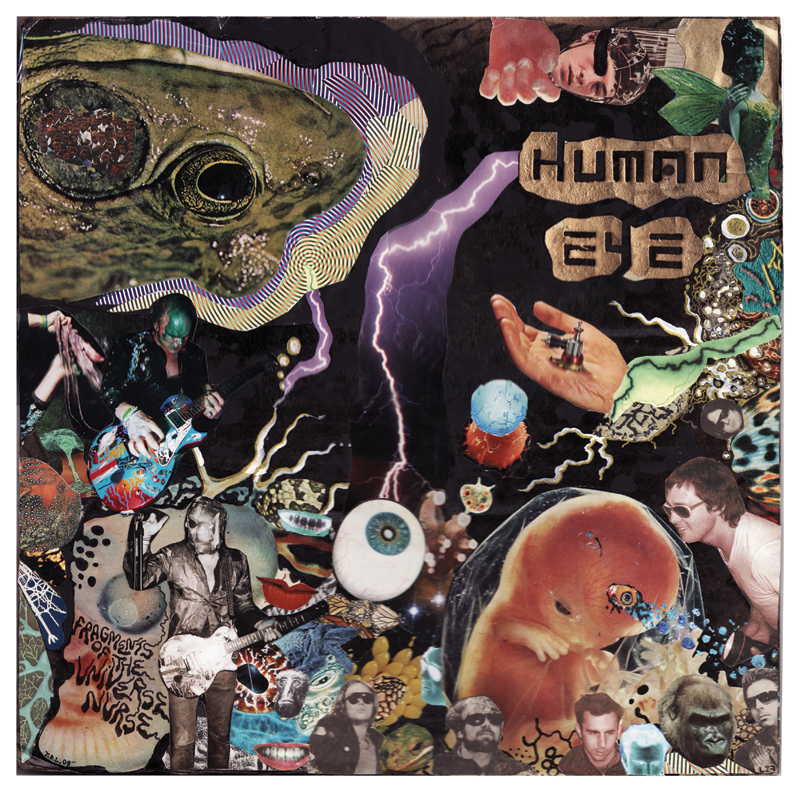 With tunes like their glam-anthem "Slop Culture", "Gorilla Garden", "Two Headed Woman", and the epic "Poison Frog People", consciousness will be altered. 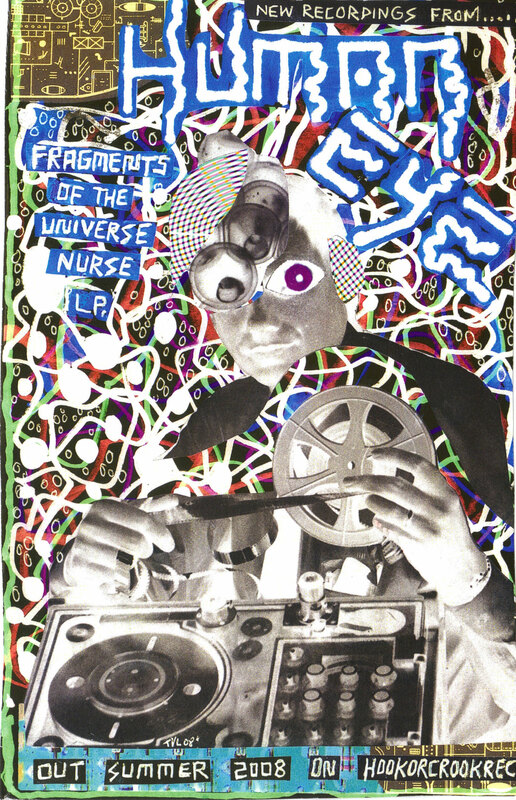 "Fragments of the Universe Nurse"